germ@namur: "Sei einzigartig, sei vielfältig, sei Berlin"
Berlin, Berlin! How could I start telling you about this great city? There is actually so much to talk about, so much to see, to do and to discover in this capital! First of all, Berlin is huge! In comparison to the small town of Namur which I am from it is so much bigger (with 3.5 millions inhabitants for 891.82 km²). 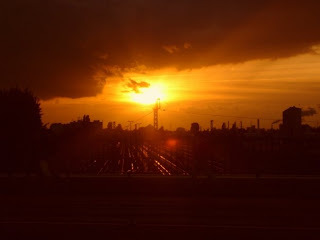 Even if Berlin is the capital of Germany and a huge city, one of the first feelings we get is one of space and freedom; we do not feel oppressed, stressed, lost or insecure unlike other big cities or capitals. 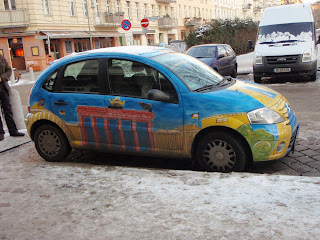 Berlin is an amazing city, a multicultural centre, a metropolis. Only by walking in the streets, sightseeing, or going to a restaurant, the multiculturalism is obvious at first sight. This is far from being a drawback! On the contrary, this is one of the many things that make the city so stunning and interesting. Berlin is a booming city that changes and lives constantly during the day as well as during the night. There is always something to do (immer etwas los! ), you can not be bored! 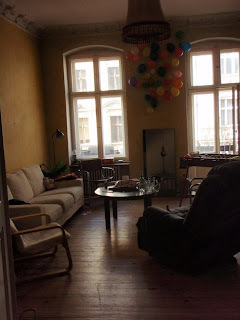 When I arrived in Berlin, (my first time ever), I went to a hostel I had booked beforehand and the day after, I started my researches to find a flat (a WG, Wohnungsgemeinschaft in German). They have really good websites to guide you and inform you on the offers (www.wg-gesucht.de amongst others). It was not as easy as I had thought though. My criteria were actually quite strict, the most important being that I wanted to live with Germans. Quite normal you might say, but there are so many foreigners and students from all over the world that you are often surrounded with French people, Italians, Spaniards, or any other nationality except German natives. It took 2 weeks until I found the dream WG: a big flat with a living room and balcony, a kicker, 4 bedrooms (there were four of us), a kitchen with dishwasher, big hallway, bathroom with washing-machine, internet, phone, TV and even a Playstation and a Super Nintendo. And on top of all that: 3 Germans as flatmates! What more could I wish for? 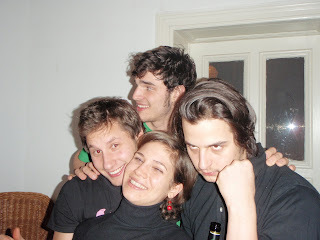 The flatmates were open-minded, sociable, friendly, helpful, and even slightly crazy! They are the ones who are (in part) responsible for my wonderful stay in Berlin! University started on 1st October. The first days were “orientation days” for exchange students (like us Erasmus students or other exchange programs). The introductory speech took place in a big lecture hall overfilled with more or less 650 students, all of them exchange students! That was quite impressive. The same day we went on some tours around the university and the village and we had to find the various offices to be registered, fill in loads of papers we did not always understand and all of the usual red tape. That was not the most interesting day of my stay but it turned out to be decisive. The students we met in the queue became very good friends with whom we went to parties and discovered the city. The university itself is pretty big. The different faculties, buildings and offices are scattered in a village (Dahlem Dorf) in the south-west part of the city, a bit decentred unfortunately but peaceful and green. Thankfully our faculty was in the main building. To be frank, even at the end of our stay we still did not get to know the whole university, but we managed anyway. Berlin has 4 main universities, each one in different parts of the city. There is actually no real student centre and apart from the monthly ‘Erasmus Night Party’ there are no Students parties like those in Namur, Louvain-la-Neuve or other Belgian towns. That wasn’t a problem as we went to clubs, bars or organized ‘WG Parties’ etc. 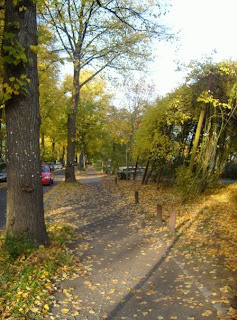 Berlin is divided into different areas, each of which has its typicality and is different from the others: Prenzlauer Berg for example in the North-East is on the one hand the “alternative” side of the city and on the other hand, a very peaceful area with lots of children, families etc. Kreuzberg in the South-East is a place where there are lots of very cheap bars and along with Neukölln (in the south-east) is the area where the biggest Turk communities live. Schöneberg, in the South-West where I lived (between the university and the centre) is a bit more residential and quieter but very nice as well. There are quite a few parks and green places everywhere in the city, and the biggest park is the huge Tiergarten, the green lung of Berlin. As I previously said, Berlin is a multicultural centre. This is visible with restaurants: you can find whatever kind of food you want. From the Sushi Bar to the Ethiopian restaurant or the Argentinean Steaks and of course the classic Döner-Kebap, whatever strikes your fanvy is somewhere in Berlin. What’s more, food is cheap! You can have a good pizza for 2.30€ and have a nice meal in a restaurant for a mere10€. As for supermarkets, Berlin is the 1st city with the largest amount of Turks and there are a lot of “internationale Lebensmitteln” supermarkets where you can mainly find Turkish specialities. There are however also Asian Shops and of course the traditional Lidl, Penny and Aldi etc. In comparison with other cities or capitals, Berlin is rather cheap! With the attractive prices mentioned above for food we sometimes wondered if it was not cheaper to eat out rather than to cook at home, even if supermarkets are very affordable as well. As to the rent for a flat you can easily find one from 200€/month equipped with internet, washing-machine, and all of the basic things you need! There are still many things to say about Berlin, but keep in mind that it is really worth going to this city. I have never heard anyone disappointed about their stay whether it be long or short in this amazing city. 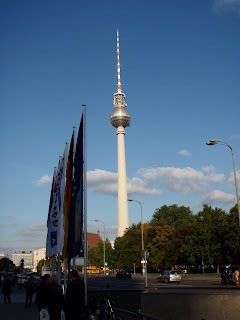 I really enjoyed my stay and I recommend an Erasmus and/or a trip to Berlin to anyone. It is only 1h10 by plane and about 8 hours by car. So, what are you waiting for?